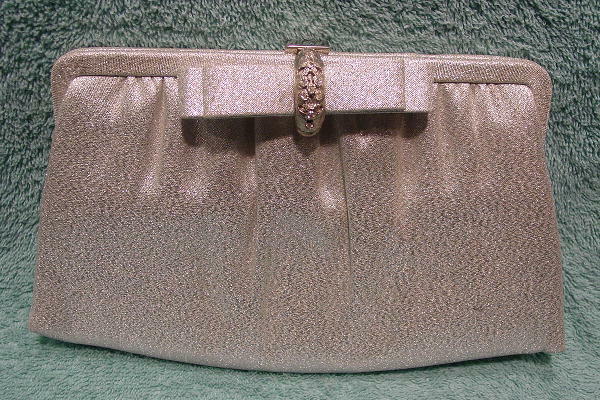 This vintage silver (metallic thread) lame purse has an 11" long silver link chain which can be tucked inside the purse and carried as a clutch. It has a pearlized (feels like satin) lining. There's gathering along the top rim, front, and back. 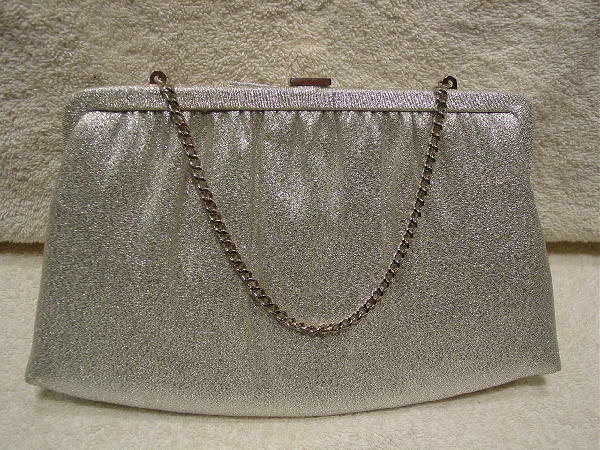 It has a silver-tone top snap closure. You open it by lifting up the rounded silver-tone clip (which holds the bow) in the front. The clip has 9 rhinestones. The purse sparkles more in person. It's from a former New York model, who wore it to several Broadway play openings.